There had to be a reason the new West Coast Dc hired all those branding, licensing and content managers. 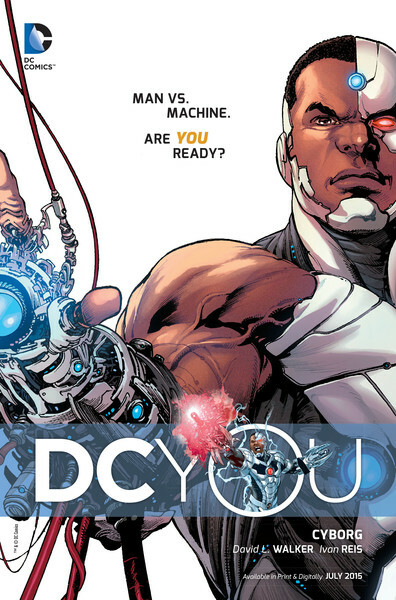 It’s to create a new branding message and it is…”DC You.” Which sounds like it might be an insult but is really a way of saying that these comics are for YOU. 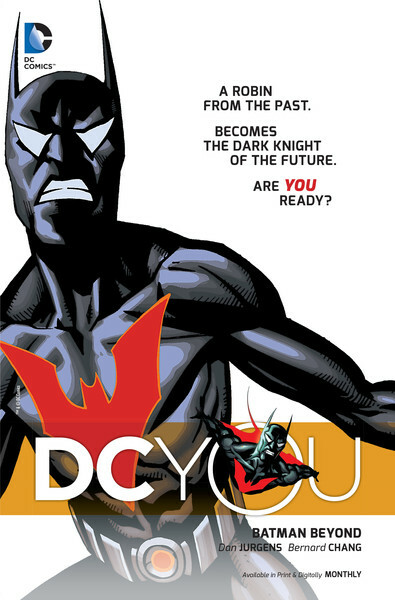 The new DCyou url is live, and here’s the ad campaign. SPOILERS!!!! 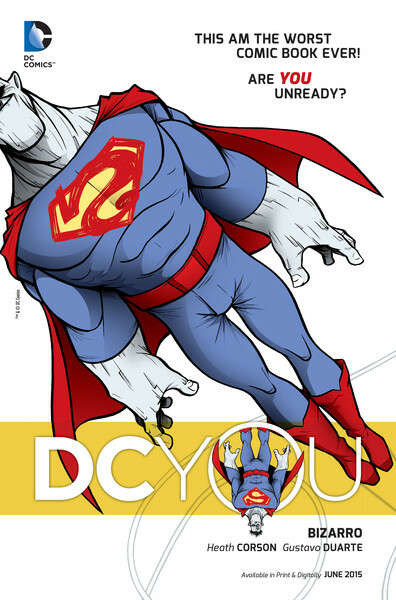 DC Entertainment revealed a bold new advertising campaign today titled “DC YOU.” The campaign shines a spotlight on the New DC Universe (DCU) line of comic books, and reinforces the company’s commitment to creating a diverse offering of titles – something for everyone. Characters – DC Entertainment will highlight its iconic characters, like Batman, Superman and Wonder Woman, as well as popular characters, such as Batgirl, Black Canary, Bizarro, Cyborg and Starfire. Talent – The campaign will spotlight top writers and artists, as well as emerging fresh voices, who are on board to help create an expansive line of comics that appeals to a broad audience of fans. Comic talent featured in the campaign include Batman’s Scott Snyder and Greg Capullo, Superman’s Gene Luen Yang and John Romita Jr., Justice League’s Geoff Johns and Jason Fabok, Justice League of America’s Bryan Hitch, Black Canary’s Brendon Fletcher and Annie Wu, among many others. 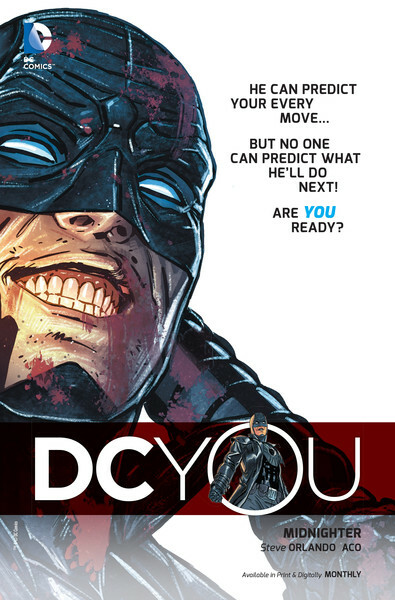 Stories – The campaign will engage the readership, showcasing the diverse range of styles and genres as well as approaches to storytelling across the New DCU through various taglines, such as Are YOU ready to laugh?, Are YOU ready to hashtag this?, and Are YOU ready for the new awesome? Fans – As the campaign name suggests, the New DCU is first and foremost about our fans and our commitment to creating great stories for all fans. The campaign will celebrate life-long fans as well as those new to comics. 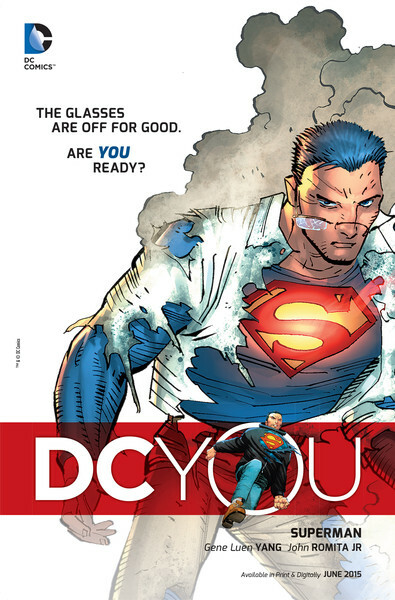 DC YOU will appear in print inserts and ads across DC Entertainment’s physical and digital comic books beginning May 20. Digital ads featuring video content will begin airing June 3 across major online platforms. 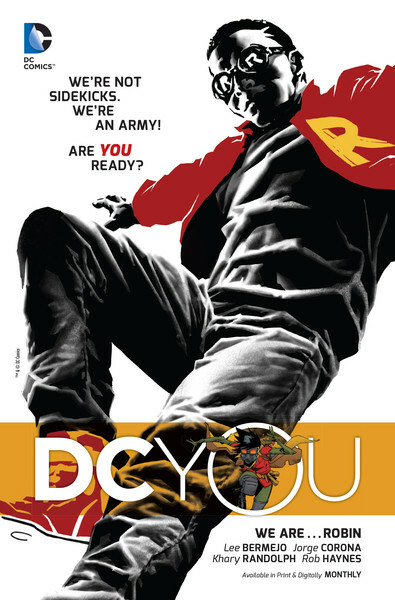 The campaign will come to life on the DC Comics website (DCComics.com/DCYOU) and multiple DC Comics social media channels will encourage fans to celebrate and share their DCU via hashtag #DCYOU. And this year’s Comic-Con International San Diego(July 9-12) will bring DC YOU directly to fans in fun and engaging ways. It’s a cute campaign and all, but if they’re just going to be targeting already existing comics readers then there’s not a whole lot of point to it. Especially on the digital side they should be trying to target ads for specific books (with links to specific places where you can buy a digital copy) to specific types of readers to draw some new readers in. If they aren’t doing that, then new books that might do well with a new audience are going to be doomed right out of the gate (until they get collected and reviewed by some of the non-comics press – at which point it might be too late). I’m pretty sure they are not. 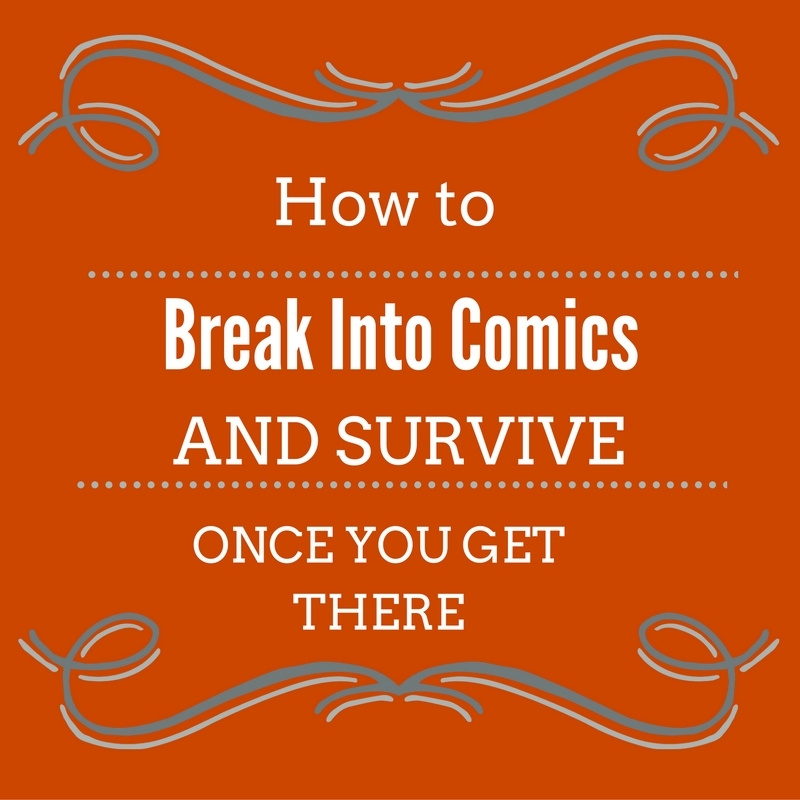 This initiative was stated to be trying to attract the ever evolving greater market out there that isn’t buying comics. 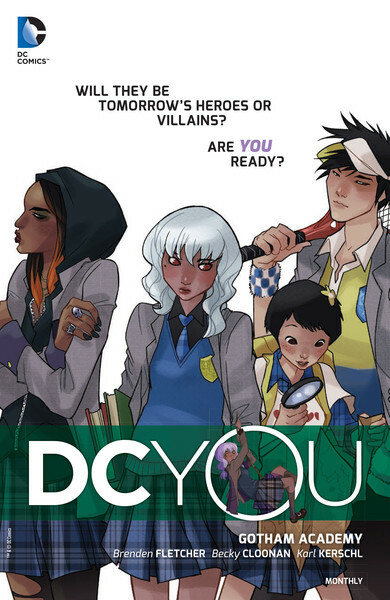 I will say this, the should be putting much much much more marketing behind Gotham Academy. It’s a smart all ages book, that has airs of Harry potter without being a direct ripoff. People complaining the big two aren’t making comics for all ages are clearly not buying this book. Unlike Batgirl, I’d feel comfortable giving this book to any kid of Harry potter reading age, and maybe even a bit younger. This does look like a pretty-good marketing concept. And I have no doubt they intend to reach new readers with it. But they thought they were doing that with The New 52, which didn’t really succeed in breaking out of the same old Diamond/LCS market. That will require not just a catchy marketing campaign, but a real change of editorial thinking to make individual the books genuinely appealing to new readers (e.g. let each set of creators create), and a focus on getting the books to the fingertips of the readers the campaign is tailored for (and since we’re talking weeks for that to happen, it means using digital, not fixing the Direct Market). The proof will be in the pudding. 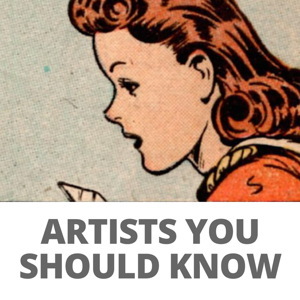 Yes, if you like house-style art based on ’90s comics. And as long as you like psychotic superheroes. I only recently decided to get into comics, and was reading up on (mostly spoiler free) reviews on New 52, questioning whether or not to get into it. This reboot is rather perfectly timed for the likes of me. I like these images. They are easy to understand, and the white backgrounds help a lot. It’s not so dark and gloomy. I wonder if this is a ‘lighter, and brighter’ DC? No print ads in other magazines? Hmmm… no URL in the ad? 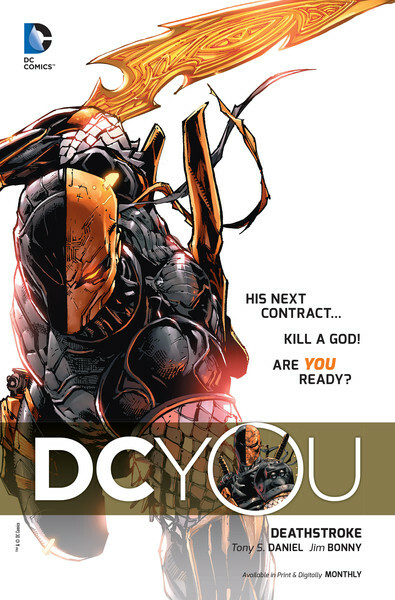 You know… if DC really wanted this to hit big, they’d give away free copies of the #1 issues digitally. Yeah, retailers would complain, but BOOM! and CrossGen already proved it increases sales. Besides, you make it returnable, with credit applied to the next month’s issues. One also hopes that these ads are the covers for that month, to make it easy for the uninitiated to find the comics. Bright white cover, with a big image. Oooh… a free Prez preview! At least one title has free comics! All of these books have a NEW 8 PAGE lead in story in the back of all the issue#2 convergence titles this month. 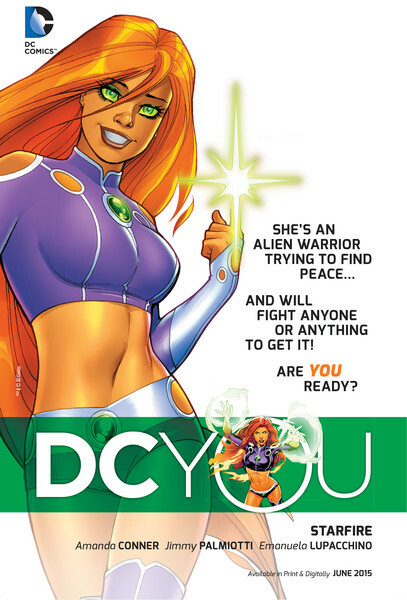 Starfire is featured in the back of THE QUESTION. As well, all of these all new 8 page lead in stories are for free in their digital store, so you can download and see if they are for you. Hope that helps. 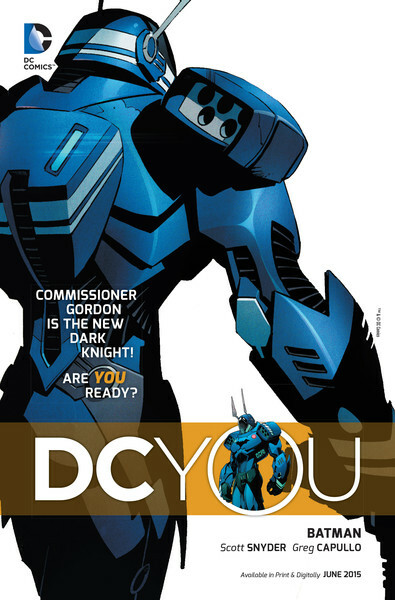 While there are certainly titles that fall into the house-style you’re citing (Deathstroke fits the bill for example), there’s also some really neat looking stuff like Gotham Academy, Prez, Bizarro, Doctor Fate (with art from the INCREDIBLE Sonny Liew), and others that definitely see DC breaking away from that 90’s influence that marked some, but not all, of the New 52 in its inception. I’m digging the clean graphic design of these ads! Good Job! At least they are finally turning Batman into a fully supernatural character. Granted, I don’t know why Comm. Gordon needs to act as an Iron Man-type sidekick for the Dr. Strange-ized Bruce Wayne. Bruce will have reality-altering powers and is now immortal – why does he need an old man in an Iron Man suit running around for him? Jimmy, promoting these new series in the back of this month’s comics is a perfect example of how to fail to reach new readers. The only people who will see that are existing readers (minus the ones who are skipping those books because they’re fill-ins that “don’t count”) and few lapsed readers who showed up for a bit of pre-Crisis or pre-52 nostalgia. It’s a textbook example of inside-the-box promotion. The job of an artist (and that includes writers) is to bring something of themselves to the table to breathe fresh into a creative project. The job of a corporation or business is to manufacture and make money. It will be interesting to see where these two tasks converge this time around. WE ARE…ROBIN intrigues me.